Deflated after seeing his team concede a last-minute goal against his former club, Jose Mourinho looked up from his seat in the dugout to see a rival coach taunting him just a few meters away. 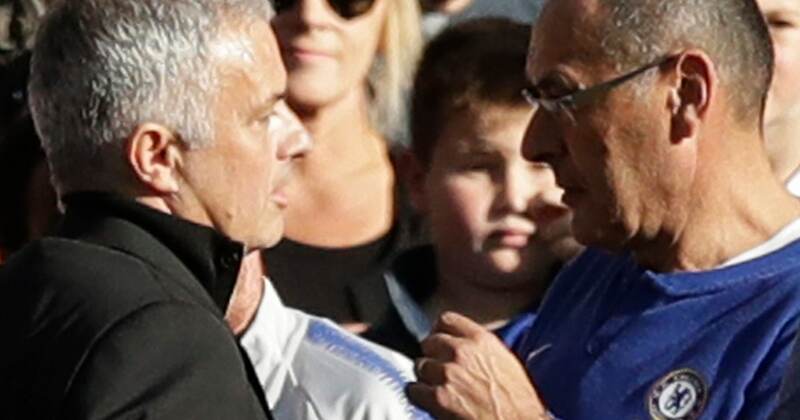 In a tempestuous ending to United’s 2-2 draw at Chelsea on Saturday, Mourinho leapt up and attempted to confront Chelsea technical assistant Marco Ianni before being held back by security staff and members of his own coaching team. Chelsea fans reacted by aiming vitriol and abuse from the stands at Mourinho, the man who oversaw the most successful period in the London club’s history. Mourinho’s post-match response? To walk onto the field and hold three fingers up to the home support, signifying the three Premier League titles he won across two spells in charge of Chelsea. Then, of course, came those must-watch post-match Mourinho interviews when he played the victim, said Chelsea apologized to him, and then belittled Ianni. United’s latest impressive rally might be overlooked amid the late-match shenanigans involving its manager, who was seconds away from the sweetest of victories. Having come from two goals down to beat Newcastle 3-2 before the international break, United responded well from going behind to Antonio Rudiger’s 21st-minute goal as Anthony Martial scored twice in the second half. Ross Barkley’s goal in the sixth minute of injury time ensured United remained in mid-table and preserved Chelsea’s unbeaten start after nine games. First-place Manchester City pulled two points clear of Chelsea with a routine 5-0 win over Burnley. The champion could be joined on points by Liverpool, which visited Huddersfield later Saturday. Tottenham beat West Ham 1-0 in a London derby to move level on points with Chelsea. At the other end of the standings, Newcastle dropped into last place by losing at home to Brighton 1-0. Cardiff, which — like Newcastle — came into the weekend without a victory, beat Fulham 4-2. Wolverhampton Wanderers’ strong run ended with a 2-0 home loss to Watford, while Bournemouth and Southampton drew 0-0.